Home » Cadets » Why become a Cadet? There are many different reasons why you may want to become a Cadet. If you want to spend your spare time taking part in a variety of activities that are both exciting and engaging then look no further. In the East Midlands, our Cadet Forces are always eager to hear from you so whether you are interested in joining the Sea Cadet Corps, Army Cadet Force or the Air Training Corps there will be a range of activities on offer to fit what you are looking for. Find out more about joining the Sea Cadet Corps. Learn more about the Army Cadet Force. Discover more about the Air Training Corps. 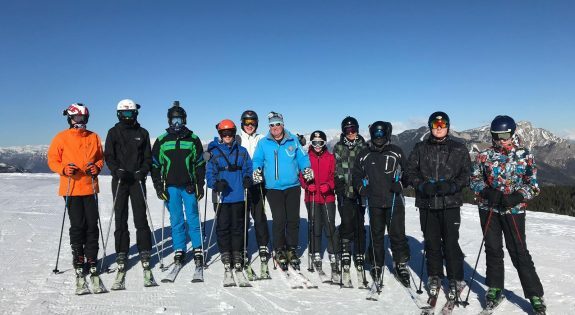 Earlier this year 100 members of the Army Cadet Force from across the East Midlands travelled to Italy for the first ever 7th Infantry Brigade ski trip. An Adult Volunteer from Northamptonshire has become one of the first in the country to earn an Institute of Leadership and Management (ILM) Level 5 Qualification through the Army Cadet Force (ACF). Air Cadets from Grantham celebrated the 80th Anniversary of the Squadron’s founding last month. An Air Cadet from West Bridgford has become one of the few cadets in the country to have earned all the available badges. 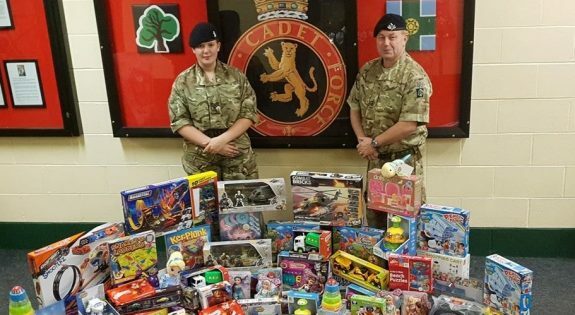 In the lead up to Christmas members of Nottinghamshire Army Cadet Force (ACF) were busy collecting toys and gifts to give out to families who were struggling through the festive season.